disclosed because Bhaiji was not interested in revealing his spiritual condition to any one. He always behaved like religious marwari , but the people who were very close knew his highest spiritual attainment. Radha baba wrote that the condition of Bhaiji is just like chaitanya Mahaprabhu and his spiritual self is totally turned into Radha Rani , the beloved of Lord Krishna .This was considered the highest attainment in Bhakti ,but Bhaiji simply belied this by saying in Marwari*Matho Kharab Ho gayo*. It was like a jagrat Samadhi of highest attainment. Image of Setha Jaya Dayalji Goyanka, Shri Hanuman Prasadji Poddar(Bhaiji) and Radha baba of Gorakhpur. It is really a great honor to read about such divine personality. I wish in our lifetime we could have got in contact with these refined souls and would benefit from their presence. Please keep up the good work. World needs so much of more of these things. These articles act like a lighthouse in the dark sea, attracting seeking souls towards them lost in plethora of complexities of our modern life. I remember one day Radha baba talked about Maa Sitaji. He said that he had gone to Kanak mandir in Ayodhya for darshan and there were people thronging around when somebody called him from back. When he turned he saw Maa Seeta standing there and smiling at him. He touched her feet and was unable to say as he was just lost in her vision when she said that If I get Bhaktas like you I can give them darshan all the time. Radha Baba also said that One more time he got Darshans of Seeta Maa, somewhere near a river. I am thrilled to think and talk about him know. 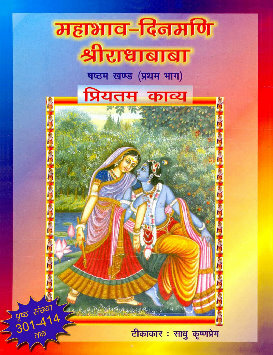 you can contact hari krishna dujari geeta vatika gorakhpur ,who is providing these audio cds at cost. if you can not get it . and you are computer savy , you can download it from our link audio pravachan of bhaiji. we can provide you ebooks of bhaiji and baba alongwith dvd of audio free of cost ,all you have to send me your complete mailing address so that it can be sent by speed post. the purpose of this site was to remind us of radha baba and bhaiji. there is no doubt that they were the rare spiritual personalities on this earth , which come very seldom. We all had been lucky to be associated with them. Thanks a lot for giving me the importance of being with your mind. I was in GKP in 85/86 as Sr Treasury Officer and had a luck to visit Geeta Vatika. I shall go to GKP and meet Mr Dujari. 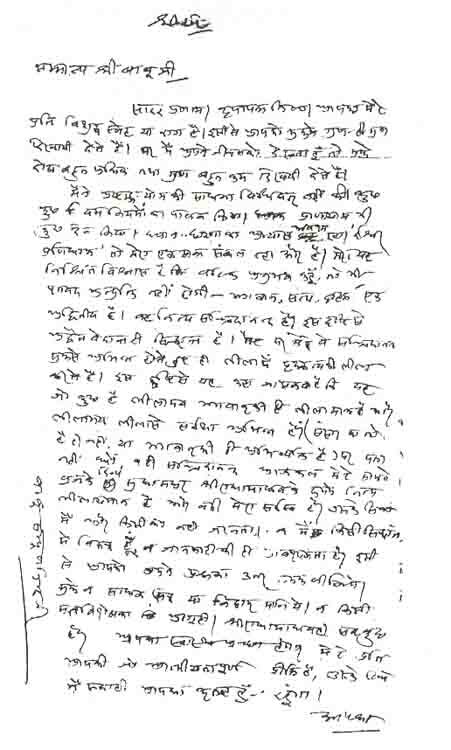 I feel happy to write to you as this reminds me of Param poojya Radha Baba. I remember when I was transferred from GKP he asked me to have parsad with him and I went to him on the fixed time and took prasad along with certain more persons, It was a sort of food and while I left he told me that I should keep remembering him and probably that was his acceptance for me. I did not contact him for sure as I was seriously involved with my Guru and was getting a lot of spritual food and also never wanted a deviation because one has to be with one, but I knew he remained with me altogether and touches me till now. Radha baba never gave guru mantra or diksha to his loved one but he always told that you make some relation with me and be associated with me . remember me in all your life. it was his conviction that he will help his close persons in the end of his life ,if the love and bond is accepted by us. We all had been associated with him with the same relation . To very few he advised Sadhana .You are lucky to be associated with him. I shall be sending you dvd shortly. Param Aadarneey Sh. Goswami Ji, May I request you to provide me your email and contact number please. I am very much thankful to you after listening the Shodas Geet. Thank you very much. i am just like you.i had been blessed to be with baba and bhaiji during my childhood as my father was follower of radha baba and bhaiji. I got the CD, I am late in informing.very kind of you.regards. 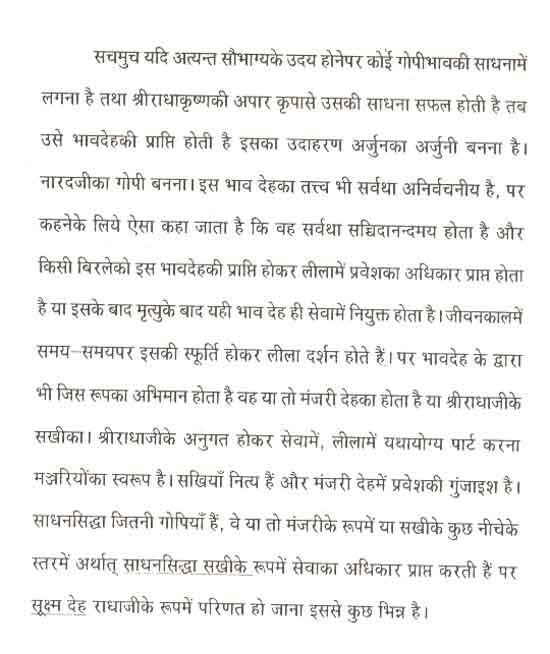 people who worked in gorakhpur in past with radha baba and bhaiji were people who abstained their physical pleasure for the spiritual work and the devinity took care of them . the spiritual reward is thousand time beneficial than worldly reward. So every body was benefited in their own way. if you feel slightly benefited by this site , try to spread the message of these great saints to masses in the way you can . this is for all. this is the only way of spirituality. I have so many times thank to geeta press and great saints radha baba , bhaiji Seth ji and other saints write for Hindu religion books.I have demand the online books for geeta press. I have got all books. 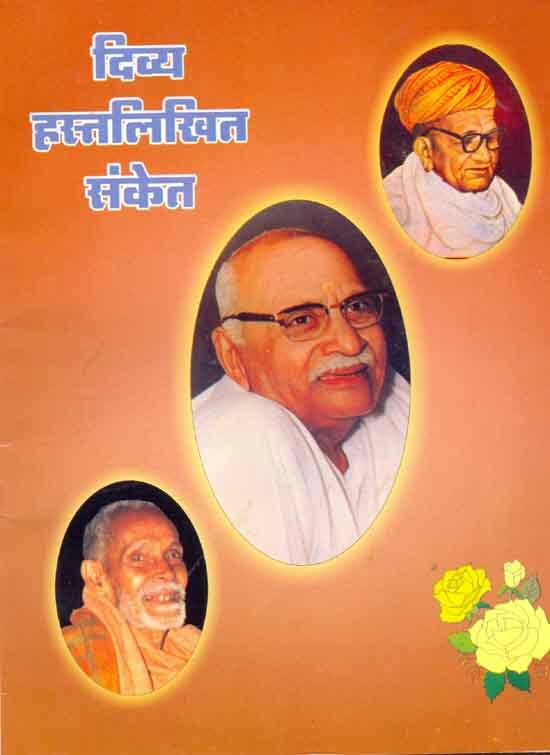 These books really associated with God and humanity and I always remember he nath mere nath main app KO bhulo nahi.I really thanks to manager geeta press provide better service to all devotees.Today I read the book spiritual condition of Bhaiji. I like it very much. Saaket Dhaam me sada niwas karne waale Sh. Hanuman prasad Poddar Ji aur Sh. Radha Baba ji ko Koti-Koti Pranaam. could u guide me how to connect to spiritual world…i believe lots in radhababa. how to connect to him..pls help..koti koti pranam..
No body who is spiritually not elevated can help you. all will misguide you. go through the books of Radha baba specially prem satsang sudha and satsang sudha . what i learnt from the radha baba and bhaiji, in kaliyug nam sadhana is only possible.the so called saints are mostly frauds and real saints are not on tv screens and stages. so very difficult to find them. one more way , if you got any spiritual charged temple near by , go and pray there. Radha baba used to say , jagannnath temple of puri, vridavan and govind devaji temple of jaipur are highly spiritually charged. we have to seek some place.if you r in contact with spiritually charged place, the devine will take care of you.it is my personal experience and i am sharing with you. I AM NOT LUCKY ENOUGH TO HAVE DARSHAN OF BHAIJI, RADHA BABA, SWAMI RAMSUKHDASJIMAHARAJ, SETHJI. HOWEVER BY THE GRACE OF THESE VIBHUTI(S) I COULD HAVE A GLIMPSE OF THE WRITINGS OF THESE SAINTS. I HAVE VISITED GEETA VATIKA AND BEEN BLESSED WITH THE LOVE AND AFFECTION OF SHRI HARI DUJARIJI. I WISH TO HAVE THE ENTIRE ELECTRONIC RECORDINGS, BE IT BOOKS, PRAVACHANS, AT ANY COST. KINDLY MAKE ME AVAILABLE AND ADVISE ME THE AC NO SO THAT I CAN DEPOSIT THE COST. very very thankful to u.doing such a nyc work by pramoting spiritualism.plz upload more speeches of radha baba. I am highly excited during my spiritual readings on the divine souls and great saints of India like Sh. Radha Baba, Sh. Bhai Ji, Sh. Seth Ji, Sh. Ramsukhdas Ji, Swami Sharananand Ji, etc. Very recently I read a biography of Sh. Radha Baba by Sh. Banka Ji and came to know more about Sh. Radha Baba. I am very very thankful and highly obliged to Gita Press Team for their divine and selfless service to the humanity. Sir, at least once, I wish to visit you. Kripaya mujhe kritaarth keejiye. Apke shree-charnon me mera koti-koti naman. GoswMiji pranams. 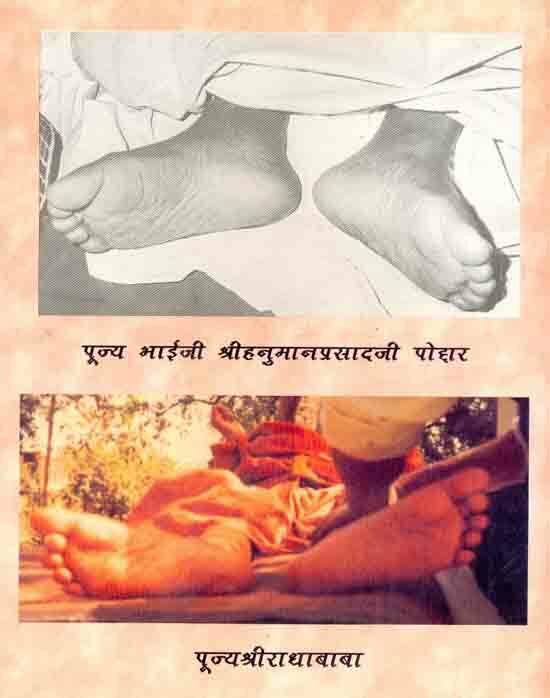 I would be highly grateful if i get a pdf of Mahabhav Dinmani shri Radha baba part 6 dwitiya bhag. it is not published till now nor sadhu krishna premaji could complete it.he left the world after writing first part. I am highly obliged getting your spiritual guidance once again. Divine gift sent by you specially to me has been receipt. 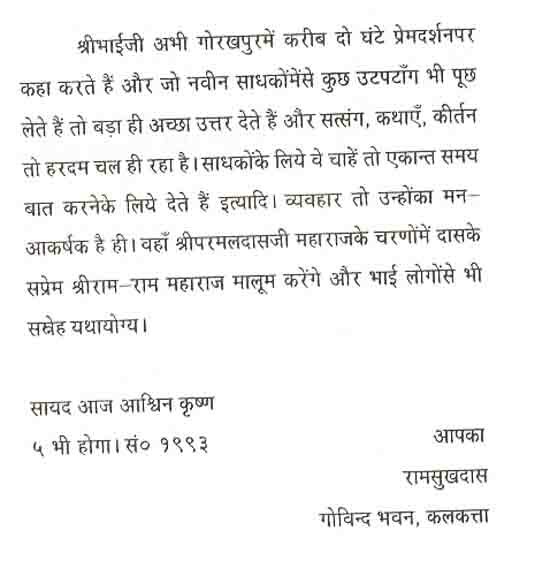 Apka koti-koti dhanyawaad is “sundartam” adhyatmik durlabh sangrah ki sampreshana ke liye. You guided me to visit Vrindavan & Gorakhpur. For which place of Vrindavan you are talking about? Two of the very holy places: first one is Shree Banke Bihari Temple and another is Manav Seva Sangh Ashram, I use to go there whenever I visit Vrindavan. We shall be very grateful always to the divine souls and great saints of India like Sh. Radha Baba, Sh. Bhai Ji, Sh. Seth Ji, Sh. Ramsukhdas Ji, Swami Sharananand Ji, etc. We are very very thankful and highly obliged to the Gita Press Team for their divine and selfless service to the humanity. Spiritual personalities like you, who are spreading the divinity and serving the society are also highly thankful. Ham bachche itne bhagyawaan to nahi rahe ki in sabhi mahaan santon ke darshan se kritaarth ho paate. Hamare liye to aap jaise mahaanubhaav hi sab kuch hain jo unke divya-sandesh evam adhyatmik prakash ko ham tak pahucha rahe hain. Apke shree-charnon me mera koti-koti naman. banke bihariji , a single glimpse of lord krishna is enough .but for gurus and dieties , it is some time surrender is required.They accept you when they wish.Then our journey is complete .now the journey is in their hand . But untill they accept you, you have to go again and again .This also is not in our hand. we can go to any spiritual place or saint , only when they permit you.So you are lucky your connection is established with banke bihariji . for vrindavan saints say , every particle of soil is pious.You go there and suddenly you will find radha rani will take you where Jugal sarkar wants. it is my internal feeling that good time for spirituality is coming. There will be millions of people one day very soon waiting in cue to find a single glimpse of temples of lord krishna and radha rani. This is the call of the time.New spiritual era is coming.it is my personal belief.Interest of young persons like you in spirituality is indication of it. brother i am just like you a spiritual seeker .I attained some age so i can tell you what i learnt due to age. I am not enlightened till now. So please dont take me very seriously. I wish I could have met you personally and got some directions to follow the spritual message. But I thnk, it is god wish, I have come accross the name of Param Pujya Radha Babaji and Param Pujya Bhaiji. I was overwhelmed and thought it is the grace of Shri Bankebihariji and Kishoriji I got the pious names of both the divine personalities whom we missed in our life. 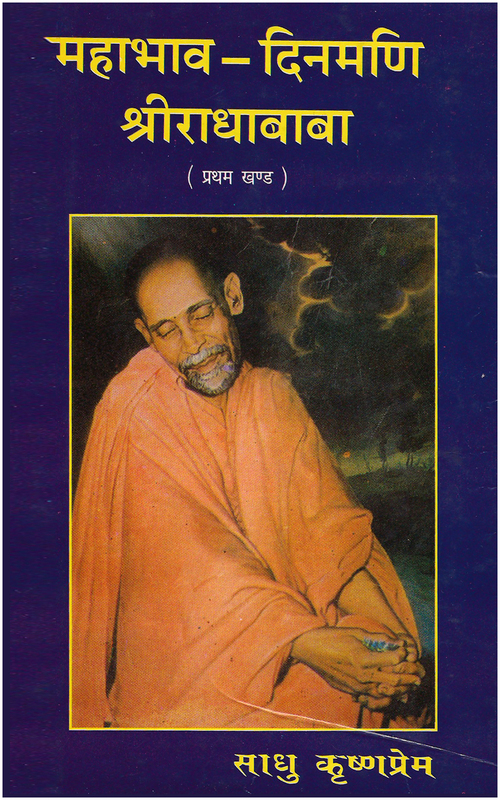 ; Goswamiji I shall be grateful if you kindly suggest me which are the pious books of both divine personalities which can give us the right path of bhakti so that we can have our thakurji and kishoriji remembered all the time.These can be sent at my address or advise me how to get these books. I these are available in Delhi, please send me the address where i can get the same. banke bihariji and radha rani ji is very near to you in brij pradesh. i am not of any importance.however if you wish ,i am at jaipur. please refer to the headline of the site subtitle books available for sale. 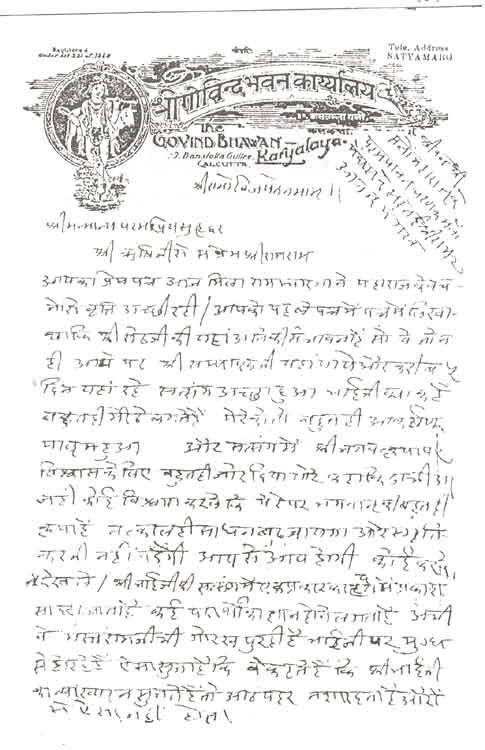 there few addresses are of gorakhpur and vrindavan and bikaner etc. very few books are available in hard copy. so you have to download it and read them. It’s Jugalkishore wish whether they desire to visit their dham. It’s wholly dependant upon them. We are small creature of this world. Goswamiji. This is my personal experience. If Shree Kishoriji desires that we must visit the Vrindavan to have a glimpse of Bankebihari, Shree Kishoriji makes the cause for the same. I always visits Shree ji Barsana Dham before I have a pious darshan of Shree Bankebihariji. On two occassions I went straight to Shree Bihariji ognoring Shreeji Barsana Dham. I got the answer for that and this time I had a darshan of Shreeji Barsana Dham and then have a darshan of Shree Bihariji and it was marvelous she made the thing easy for me to have the darshan of Shree Bihariji. Not only that once I reached Shree Bihariji, It was Sharad Purnima day. Shreeji desired that I should stay there in the evening to have pious darshan of Shree Bihariji to see Bihariji in Purna Singar of Sharad Purnima with bansi. Jai Shree Radhey. Shree Bankebihari Lal Ki jai. Shree Jugal Sarkar Ki Jai. Sh Hanuman Prasad Poodar Ji has rejuvenated the Sanatana Dharma which has been facing the onslaught of Asuri Pravirtian for the Last one thousan years. 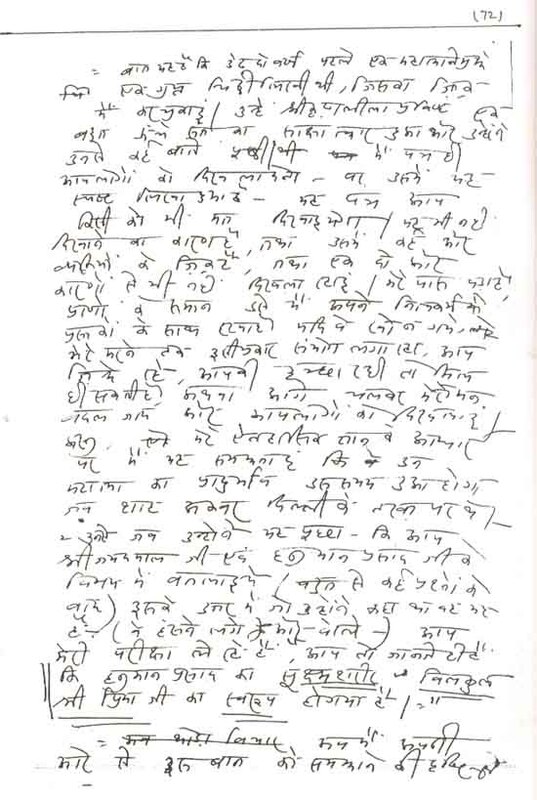 We used to live in gorakhpur before shifting to kolkata in 1960.My uncle(Mausa ji) Om Prakash Tekriwal used to live in Gorakhpur & was a devotee of Radha baba -visiting him frequently.once he told baba I am going on such and such date to Calcutta for shopping( for marriage preparation).baba just said- don’t go.mausaji told me he felt very angry with himself- why did I have to tell Baba.whole programme had to be cancelled.he had planned on going by car to Benaras & then fly to Calcutta.Those days there used to be such a flight. A day after uncle was to take flight news came that the very plane he was to take had crashed & everyone had died.Radha baba,Seth ji,Bhai ji & swami ji were all either Ishwar-parshad or avatar: depending on ones Shraddha.